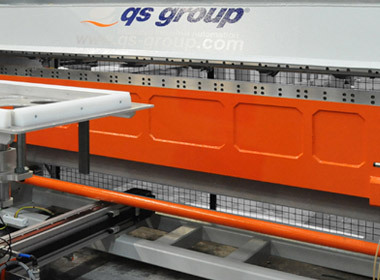 The Thermoforming Division produces thermoforming machines for thermoplastic materials starting from sheet or coil. 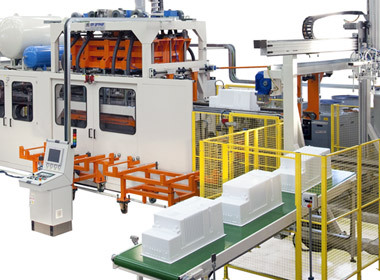 Thermoforming machines are distinguished by productivity into two families of machines: SINGLE STATION and IN LINE. 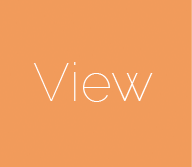 The in-line machines are mostly used in the appliance industry for the production of refrigerator inner doors and inner liners. 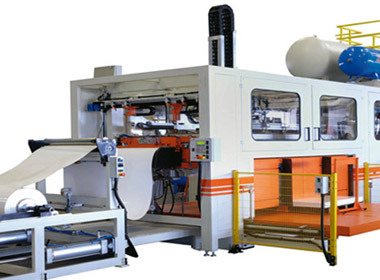 The single station machines are used in numerous industrial sectors, with numerous different applications, to name a few: in the automotive industry for the production of small aesthetic and functional parts, in the sanitary industry for the production of shower trays and bath tubs and in the tertiary industry. 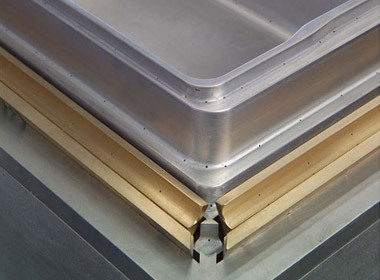 The Thermoforming Division produces small, medium and large thermoforming moulds to mould thermoplastic materials. 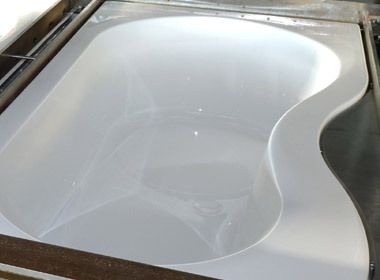 The moulds are used in various industrial sectors, such as automotive, household appliance, medical, sanitary and tertiary. 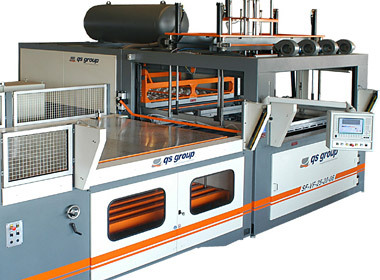 The Thermoforming Division also produces punching and trimming machines for thermoformed pieces, that are mainly used in the appliance industry either in In-Line arrangements and Dedicated Islands.